This guest house is situated just 1.5 km from the centre of Roussillon, in the heart of Provence. It is set within a garden with a swimming pool and features free Wi-Fi internet access and a terrace. 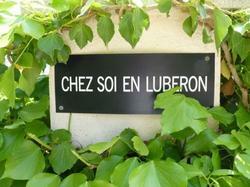 Each room and studio at Chez Soi en Luberon has an en suite bathroom with a shower. The rooms feature a traditional Provence décor, have direct access to the garden and open up to a private patio. Traditional evening menus with products from the region and the garden patch are prepared upon request, and picnics and barbecues are arranged. Breakfast can be served on guests' private patio. Free private parking is available on site and Gordes is 11 km away. The guest house is 40 km from Carpentras and 46 km from Avignon-Centre Train Station. This studio offers access to the garden, a private patio with mountain views and a kitchenette with a refrigerator and a microwave. A private patio and access to the garden feature in this soundproofed room.